Part of our covenant is to recognize the inherent worth and dignity of every person and to respect the interdependent web of all existence, but additionally we covenant to work towards building world community. So it’s a natural extension of our faith to seek common ground with other faiths and to promote mutual understanding, to better aid the growing of unity and the community of humanity. I am part of the Tree of Life Unitarian Universalist Congregation in McHenry. Unitarian Universalism is itself an interfaith religion – not only welcoming people from different faiths, but also looking to the wisdom and teachings of the world faith traditions to inspire us in our spiritual and ethical life. Part of our covenant is to recognize the inherent worth and dignity of every person and to respect the interdependent web of all existence, but additionally we covenant to work towards building world community. So it’s a natural extension of our faith to seek common ground with other faiths and to promote mutual understanding, to better aid the growing of unity and the community of humanity. A little over a year ago, I was invited to serve on the FaithBridge Board and that opportunity has been wonderfully inspiring and rewarding. The above quotes from Rumi remind me that we all carry within us an extraordinary potential for relating to others and to the world around us and it’s been my experience that the FaithBridge philosophy and programs all have elements which encourage everyone to explore this larger capacity for living and being. 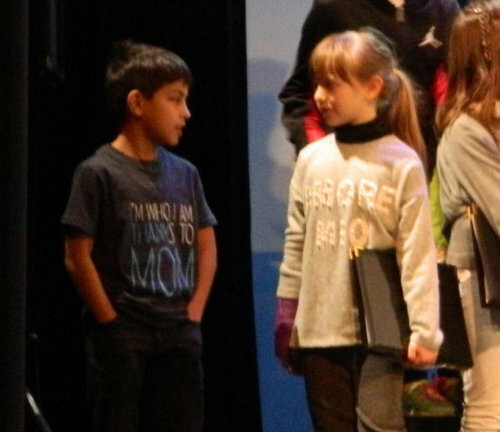 The Sounds of Faith Children’s Interfaith Concert—which FaithBridge sponsored last January—brought together children of different faiths to share their diversity in performances and their mutual love of music as they also shared in singing together. But this endeavor also called for the support and commitment of the larger community, and ultimately, there was a wide circle of people who were involved and touched by the experience—abundant opportunities to walk on the bridge of love. On a personal note, for many, many years I have been filled with wonder for how threads of meaning and inspiration seem to radiate from and between the world’s religions and faith traditions. It’s only in recent years that I discovered that scholars use the words perennial wisdom to describe how core teachings of the world’s religions all share some mutual understandings, even within their great diversity of expression. As FaithBridge Board members all come from diverse faith traditions, we have the wonderful opportunity to celebrate both our individual uniqueness and our shared love for building understanding. Our work together is always joyful and illuminating. We invite and welcome all others to join us in promoting compassionate acceptance and cooperation.